Number Product Name Specifications Wire Dia. 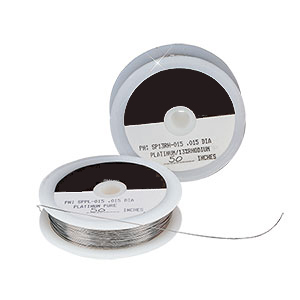 Stanford Advanced Materials (SAM) has been providing high quality Platinum-Rhodium thermocouple wires for many years. 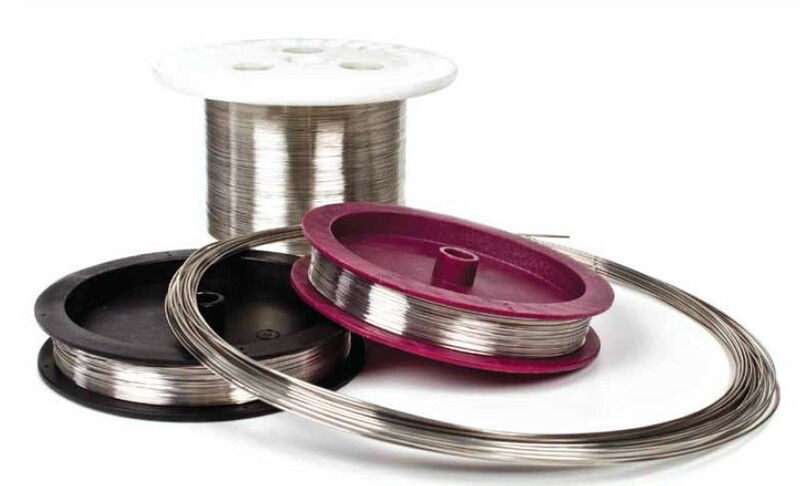 Types R, S, and B thermocouples use platinum or a platinum/rhodium wire for each conductor. 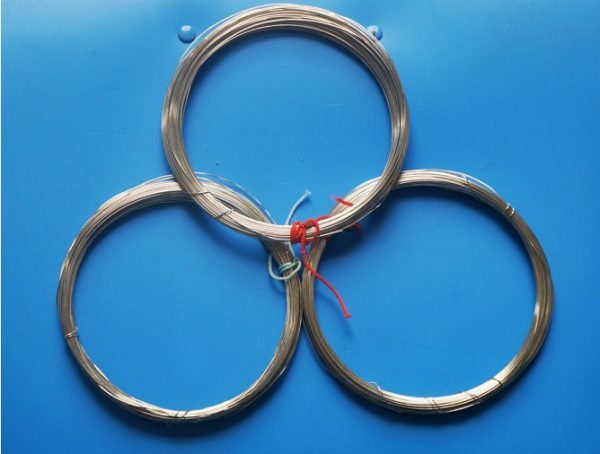 Platinum-Rhodium thermocouple wires have high resistance to oxidation and corrosion at high temperatures. Types R and S are suggested to be applied for continuous use in oxidizing or inert atmospheres up to 2550°F (1398°C) or short-term exposures to 2700°F (1482°C). Type B is recommended for continuous use up to 3100°F (1704°C) in oxidizing or inert atmospheres. When operating near these maximum temperatures, the heavier gauge wire sizes are recommended. All these three thermocouple types can be used in a vacuum for short periods of time. Type B offers greater stability in such applications. None of them should be used in reducing atmospheres or in atmospheres containing metallic or non-metallic vapors unless protected by non-metallic protection tubes. Avoid inserting directly into metallic protection tubes! Wire diameters are from 0.001 to 0.032″ (0.025 to 0.812 mm). When requested, the wire is supplied in matched pairs which meet or exceed standard limits of error. Special-limits-of-error wire is supplied on request and must be ordered as matched pairs. Insulated duplex extension grade wire for types R, S, and B are also available.